Hands down, I am obsessed with the work of design student Ditte Lerche. 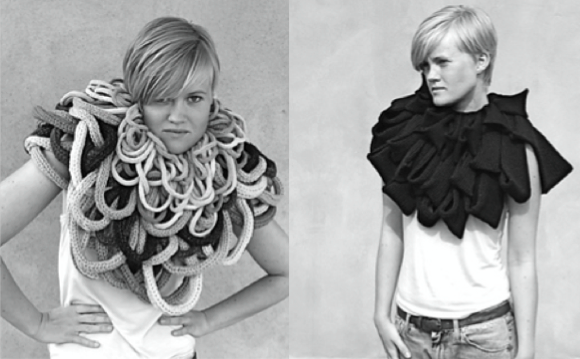 Only just discovered through Ravelry, Ditte focuses on knitwear that is incredibly interesting in shape and form–she really pushes the bounds. You can check out her website here, or follow her blog here. She posts a lot of jaw dropping knitwear, from herself and others. Remarkable stuff really, and my mind is already spinning with potential creations for Kraftworkin’ Kitsch readers. Next Do I Even Own a Petticoat?